Since the opening of A&S Daikanyama in 2018, we have been focusing on the axis of “home” and “basic” to present our classic items - pajamas, inner wears, daily goods including towels and items for bedrooms and bathrooms – which are made to be enjoyed regardless of season or age. 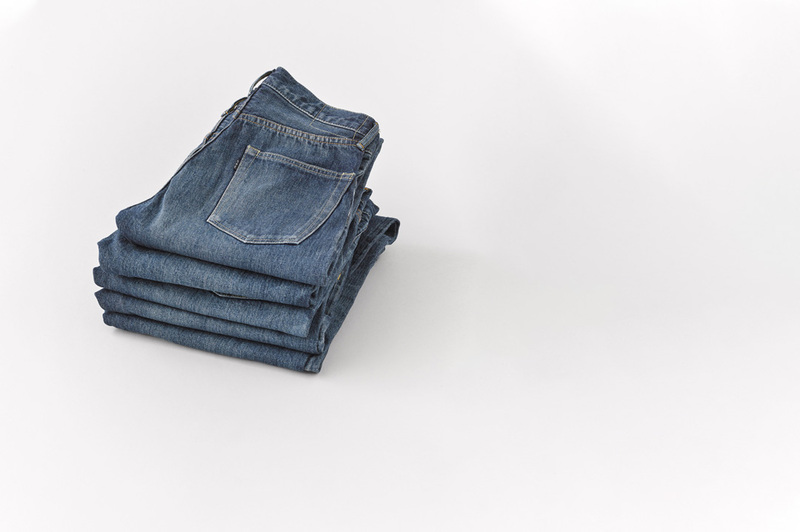 In this issue, we introduce you to “Ankle 5 Pocket Denim Pants”, our denim pants which can be worn throughout the year. We went through old references in order to recreate a yarn with uneven colors. 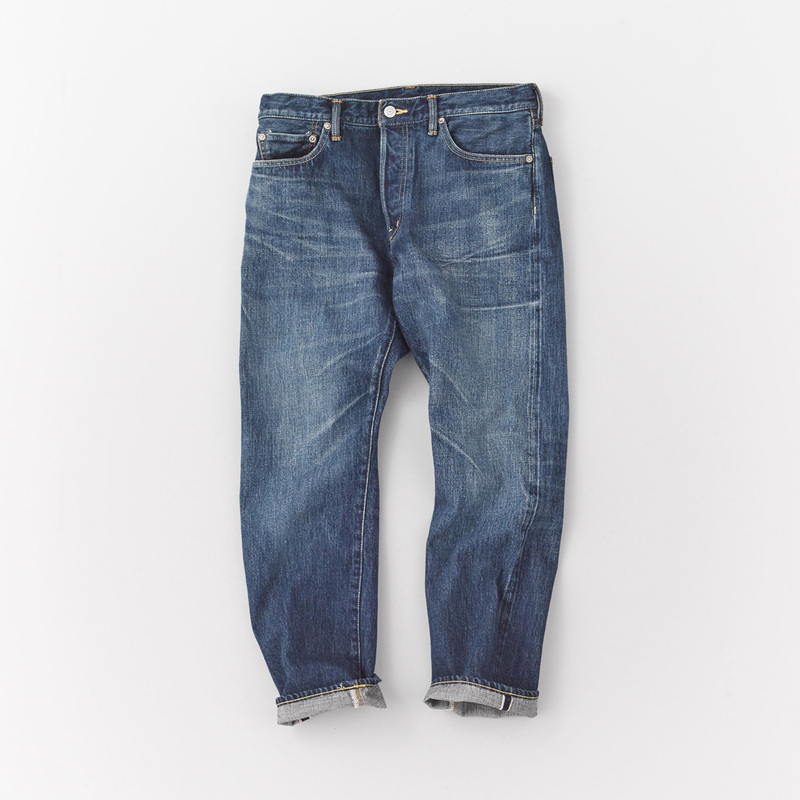 We used 13.5oz denim finished with an anti-shrink process. Use of indigo dye in pale shades. 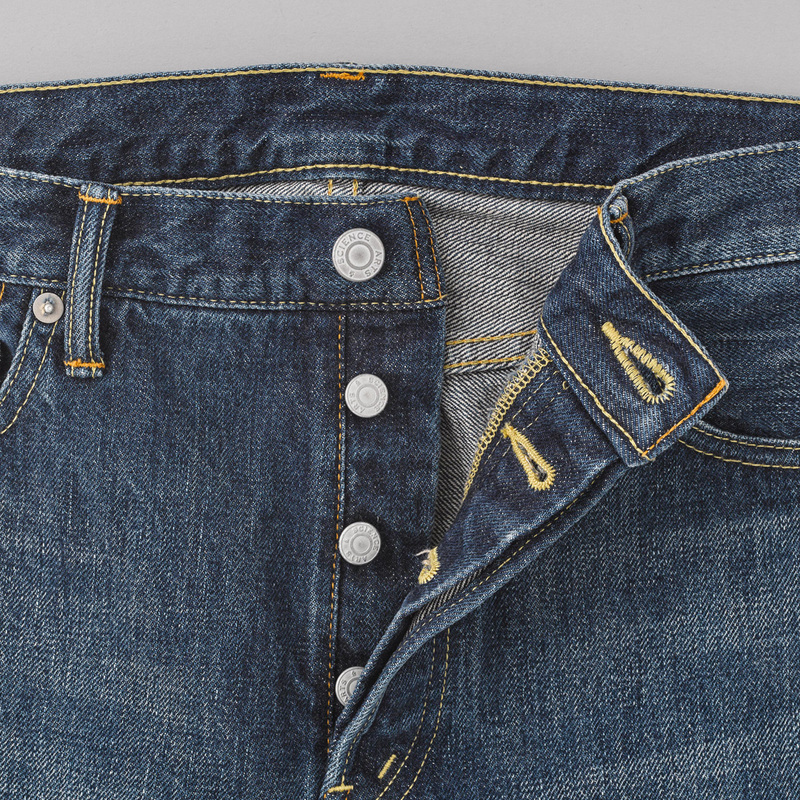 The pants feature deep whiskers running from the front part of the crotch to the thigh and slanted side seams created purposely without using the skewing process which prevents the denim from twisting. 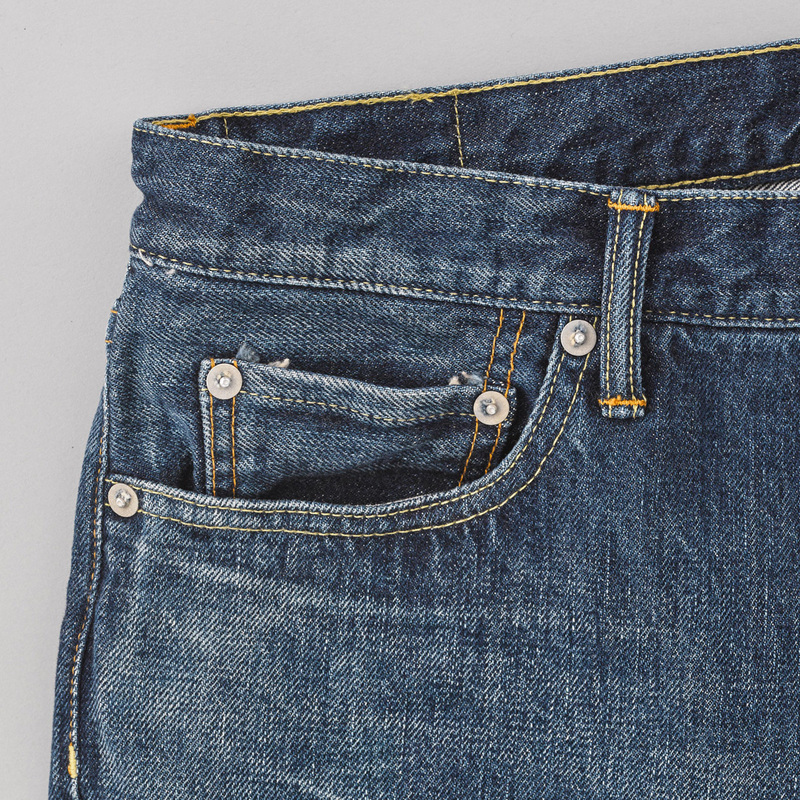 Our pants feature such vintage-like denim and a natural used allure. While giving the waist and the hip more space, the bottom part is softly tapered with a length which slightly covers the ankle, giving the pants a clean silhouette. 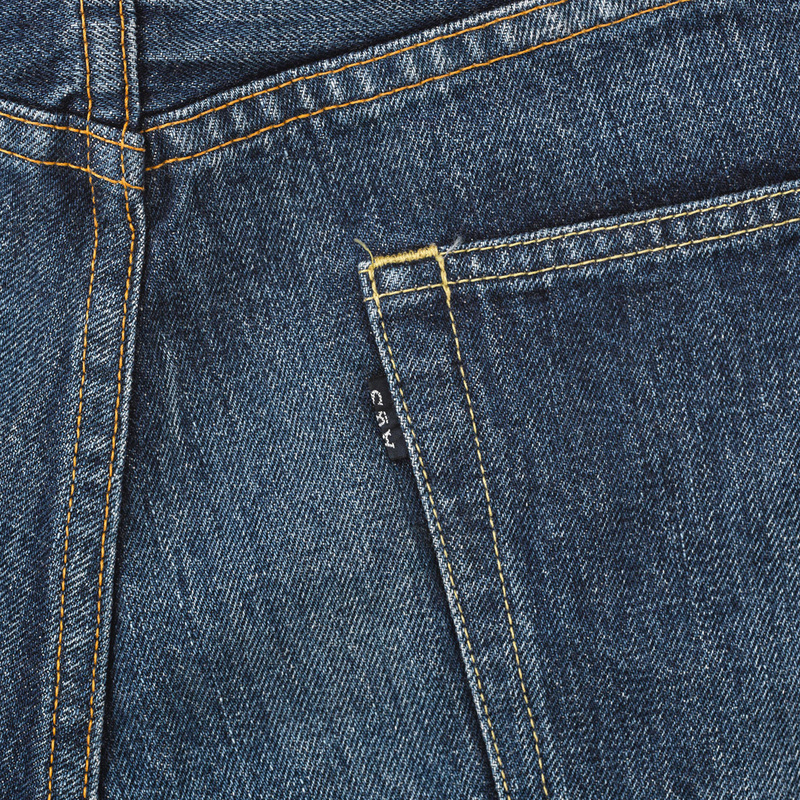 The denim fabric is made in Okayama, the home of Japanese denim. By using antique shuttle looms, we were able to add rugged details and volumes. With continued use, the texture and the color will change to obtain a unique aura. At A&S Daikanyama, we have size variations for both men and women. Please come and try them on. A watch pocket created to store your pocket watch. Due to popularization of wrist watches, the pocket is now called “coin pockets”. The front features button flies. 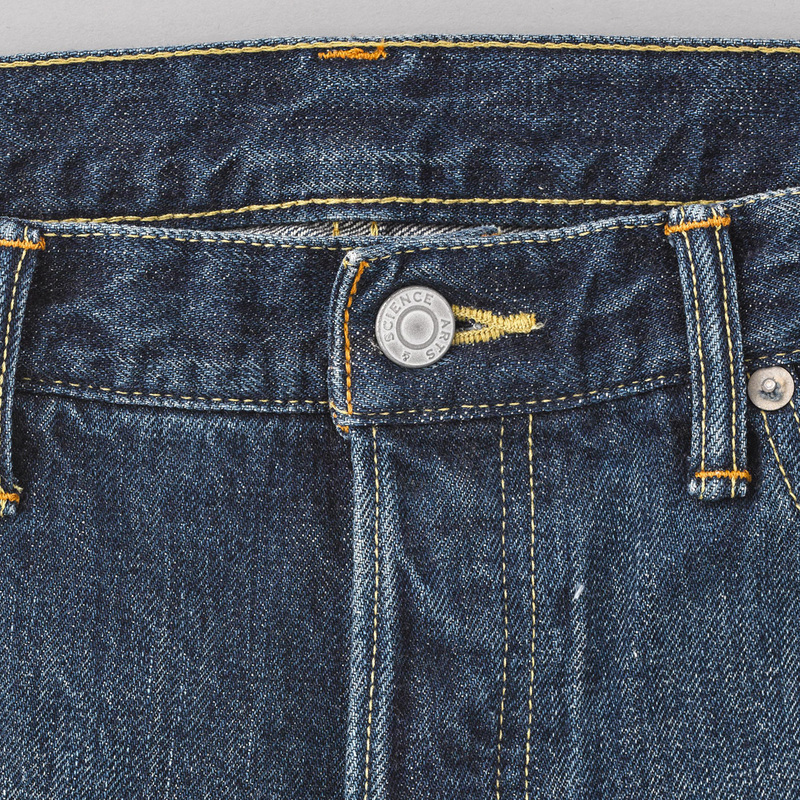 A&S original folding label on the back right pocket. 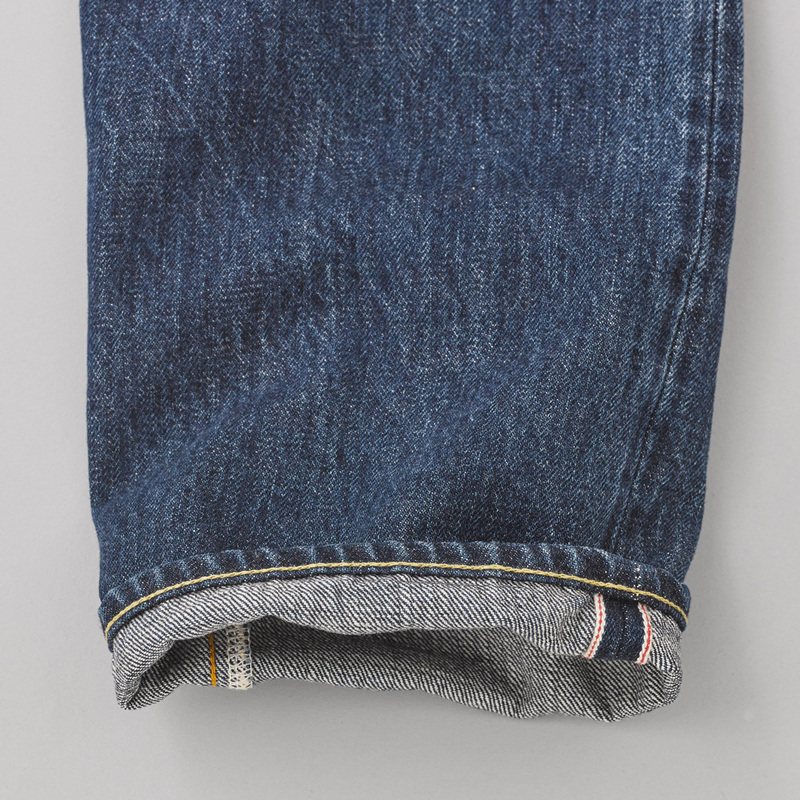 Hems can be rolled up to show their selvedge. Chain stitching on hems. ※ Please contact A&S Daikanyama or send us a message via “contact form” for any inquiries.